An intramuscular (IM) injection is a shot of medicine given into a muscle. Certain medicines need to be given into the muscle for them to work correctly. 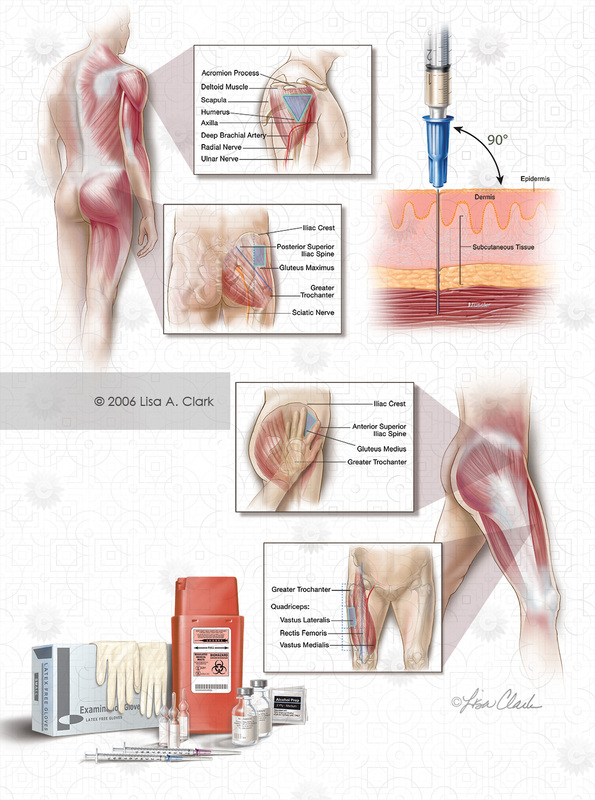 This illustration depicts the various intramuscular injection sites including the upper arm, buttocks, hip, and thigh.